Rose gold has a way of grabbing the eye and not letting go. 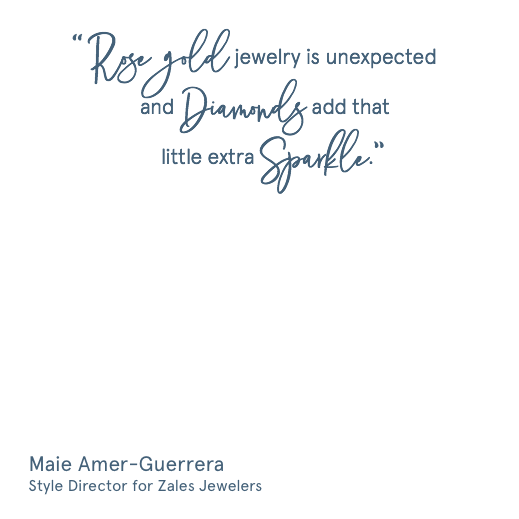 Add diamonds to rose gold, and you absolutely cannot look away! A trend we're seeing from the fashion runway to the wedding aisle to the grocery aisle is rose gold paired with dazzling diamonds - and it's love at first sight. Blush pink rose gold is decidedly feminine yet ultra-modern. Paired with sparkling white or even bold black diamonds, rose gold makes an undeniably brilliant fashion statement. 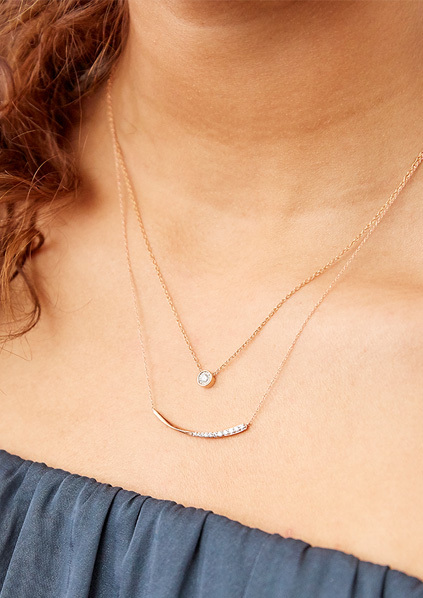 Rose gold earrings, necklaces, bracelets and rings set with sparkling diamonds complement any attire - from your little black dress to a pair of faded jeans. 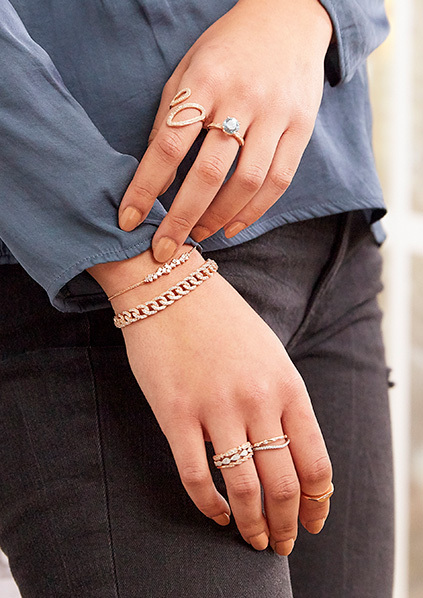 Wear your rose gold and diamond pieces with cool white gold as well as warm yellow gold pieces to create a mixed metal look that is very on-trend right now. Freshen up your look with versatile rose gold and diamond styles, available at Zales - The Diamond Store.